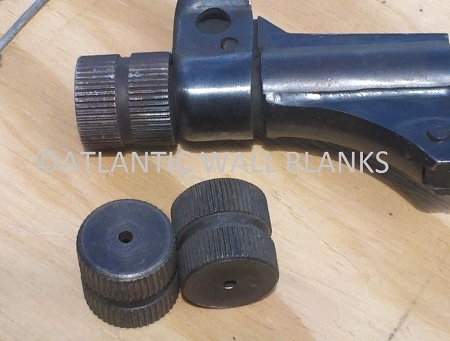 Blank fire adapter for the standard Mp-40. Replaces stock muzzle nut for blank fire though MUST be removed for live fire. Comes with pilot hole drilled (.109). Must drill to recommended BFA size recommended for blanks used. We will drill to recommended size upon request.